MOTU have just sent us news of a compact audio interface, called the Audio Express. 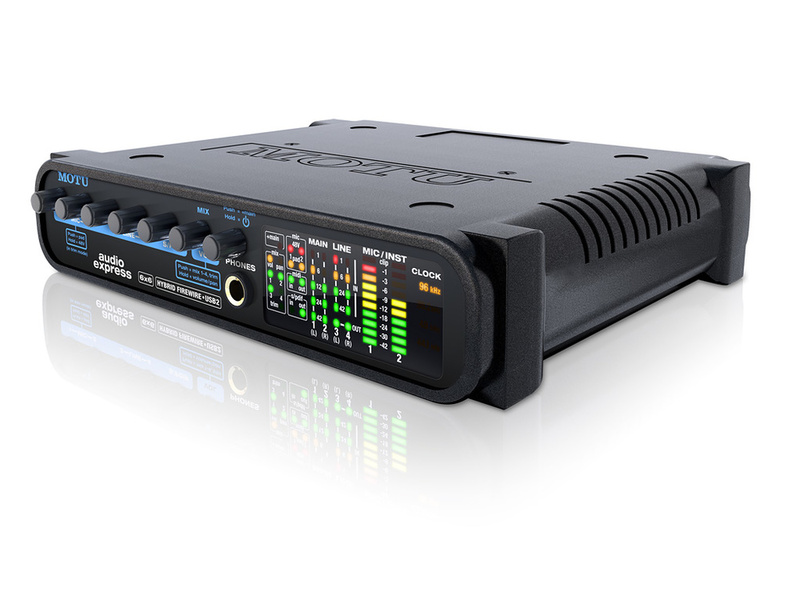 A six-in/six-out device, the Audio Express provides both USB 2 and FireWire 400 connectivity, plus a couple of unexpected features that suggest it’s been designed with performing singer/songwriters in mind. The Audio Express comes with a piece of software called CueMix FX. This governs the routing of physical inputs and outputs to your DAW’s I/O, and also includes a few DSP-powered effects that let you apply reverb to your foldback mix (for example). Another thoughtful manoeuvre here from MOTU is the tuner that’s included in the CueMix software. Audio inputs on the are configured as follows: there are two mic/instrument combi inputs, plus two balanced line ins and a stereo S/PDIF input. Going the other way, there are four balanced line outs, a S/PDIF output, and a front-panel headphone socket. There are also two five-pin DIN sockets for MIDI in and out, plus the FireWire and USB sockets. Usefully, the Audio Express can be bus-powered via either method of connection, so provided your computer has the current available, you won’t need to find another socket for a wall-wart. Shipping from this month, the MOTU Audio Express carries a US MSRP of $449.